Know when the new version of Android will be released, it's very interesting. But it is even more important and more interesting to know the time period for updating certain operating devices to a new OS. 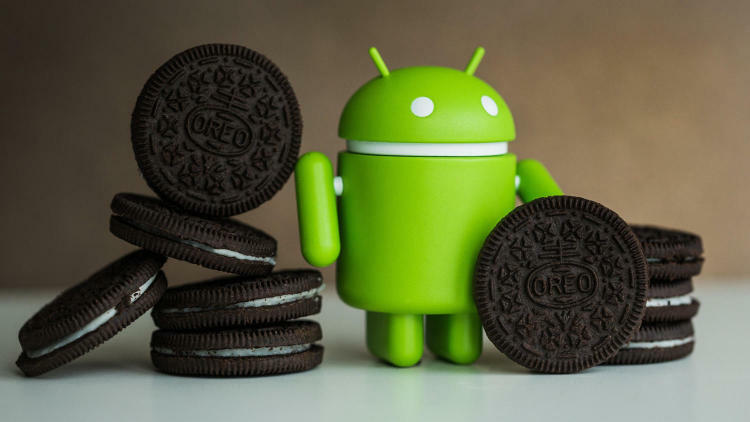 On the Web, a message appeared, considering when smart phones from different brands will be updated to Android O, the version of 2017 of the most popular mobile OS. Finally, it was supposedly known about when the popular Android devices will be updated to Android. As the past experience shows, only a very small number of Android users get the opportunity to try the new version of Android on the very first day of its availability.Pixel users will get the new OS first. And there is no doubt about that. But which devices will be next? More in detail about it has told on pages of a resource phoneArena.com Peter K. (Peter K). Android O is an important update to the operating system. And this means that it debuts many improvements to the operating system. In addition, many significant elements of Android will be recycled - once again. Perhaps many users will like what the notifications look like. Redesign touched and the settings menu, which will become better organized.And these are just some small examples of what the new operating system brings with it. The new operating system will be offered by Google to the public in early or mid-August 2017. According to rumors, owners of Pixel can hope to update their devices "by air" in the first weeks of the last summer month of this year. Developer Preview 4 may not be available at all, so the number of public beta versions will be limited to three. But this again follows from rumors. Android O Developer Preview 3 is available for beta testing right now, though, since it's not about a stable OS version, no one will recommend trying it out. Last year, the debut of Android Nougat was unexpected and quite early - it took place on August 22, 2016, which was in some ways a surprise for those who are familiar with the history of the most popular mobile operating system and the tradition of the release of its next versions. And, it seems, Google liked the idea that the new version of Android should be introduced earlier than usual. In the past years, users have become accustomed to the debuts of new versions of Android in the fall - in October or even November. Android 4.0 Ice Cream Sandwich was released on October 18, 2011, but already on July 9, 2012 saw the light of Android 4.3 Jelly Bean. October 31, 2013 was remembered by users of the most popular mobile OS debut of Android 4.4 KitKat. Even closer to the New Year - November 12, 2014 - the search giant released Android 5.0 Lollipop. Android 6.0 Marshmallow debuted more than a month before its predecessor - October 5, 2015. But last year's Android 7.0 Nougat came out before the end of summer - August 22, 2016. According to rumors, Android 8.0 O can make its debut in early August 2017.